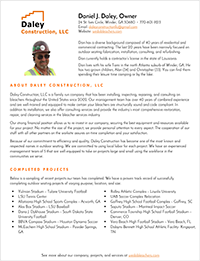 Daley Construction, LLC is a family run company that has been installing, inspecting, repairing, and consulting on bleachers throughout the United States since 2002. 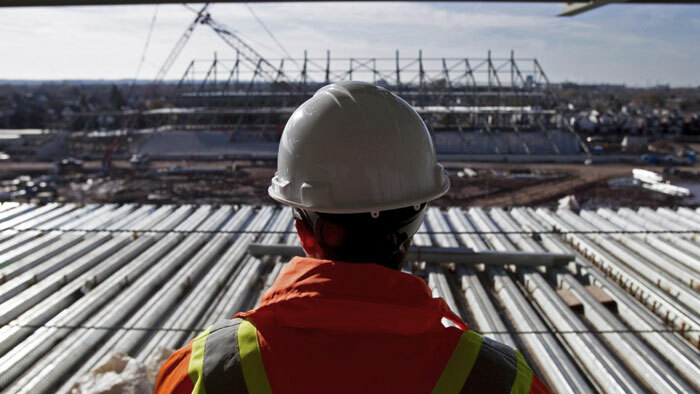 Our management team has over 40 years of combined experience and are well-trained and equipped to make certain your bleachers are structurally sound and code compliant. Seating is our only business, and outdoor public seating products are the only products we work with. In addition to installation, we also offer consulting services and provide the industry’s most comprehensive restoration, repair, and cleaning services in the bleacher services industry. Our strong financial position allows us to re-invest in our company, securing the best equipment and resources available for your project. No matter the size of the project, we provide personal attention to every aspect. The cooperation of our staff with all other partners on the worksite assures on-time completion and your satisfaction. Because of our commitment to efficiency and quality, Daley Construction has become one of the most known and respected names in outdoor seating. We are committed to using local labor for each project. We have an experienced management team of 5 that are well-equipped to take on projects large and small using the workforce in the communities we serve. Our previous customers have included School Districts, City Government Agencies (Parks & Recreation), State Government Agencies, County Government Agencies (Parks & Fairgrounds), Professional Sports Teams, Universities, Federal Government Agencies, Contractors, School Supply Companies, Booster Clubs, and Private Individuals. 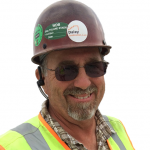 Dan has a diverse background composed of 40 years of residential and commercial contracting. The last 20 years have been narrowly focused on outdoor seating fabrication, installation, consulting, and refurbishing. Dan currently holds a contractor’s license in the state of Louisiana. Dan lives with his wife Tami in the north Atlanta suburb of Winder, GA. He has two grown children, Alan (34) and Christopher (33). You can find them spending their leisure time camping or by the lake. Grab a printable version of this page for your bid package or presentation.